July 2017 – DomaCom is pleased to announce that we have commenced the following regional public crowdfunding campaigns that may be of interest to your clients. 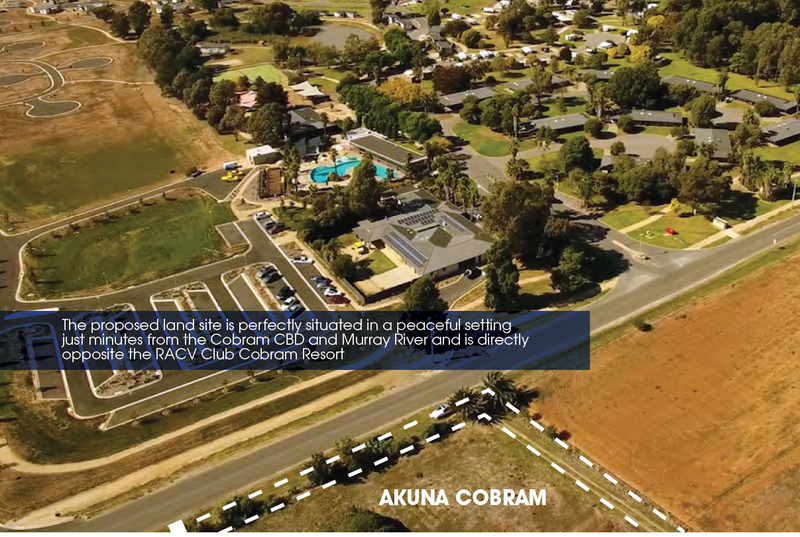 Akuna, Cobram VIC Akuna is developing a portfolio of resort-style residential communities in regional Victoria for the over 55’s, commencing with a ‘greenfield’ site in Cobram on the Murray River. DomaCom is pleased to announce that we have commenced the following regional public crowdfunding campaigns that may be of interest to your clients. Akuna is developing a portfolio of resort-style residential communities in regional Victoria for the over 55’s, commencing with a ‘greenfield’ site in Cobram on the Murray River. 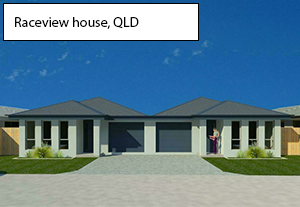 Through the DomaCom Fund, Akuna is offering investors the opportunity to purchase units in a sub-fund that will acquire ownership of the land component for the development of its Cobram community estate, with the aim to provide investors an attractive return from both the development and the ongoing land-rental agreement. Please note that returns are estimates only and cannot be considered as a guarantee of investment performance. Investment term There are no withdrawal rights from a sub-fund until it is terminated, however the DomaCom Fund provides a liquidity solution. This solution has not previously been available to the property sector. The Fund’s Constitution also provides that a sub-fund can be terminated at any time by a vote of unit holders that hold at least 75% of all units on issue and/or after 5 years with a 50% unit holder vote. Please refer to the DomaCom Fund Product Disclosure Statement (PDS) for more information. Affordable retirement accommodation via Residential Land-Lease Community (RLLC) living separates the ownership of the land from ownership of the house, freeing up capital for the homeowner whilst providing the land owner with secure ongoing rental income from the land. If you are interested in this project as an investment for your clients, please visit the Akuna page on our website. The second opportunity that may be of interest to your clients is the Utilitas bioHub project in Casino, NSW turning organic waste into fuel to generate electricity. This is a great example of technology that works to benefit rural communities. With a population of over 10,000 people, Casino is the regional hub of a large cattle industry. The sheer size of biomass from agricultural and food processing industries in this region makes it an ideal place to build a bioHub. Utilitas will engineer the plant following a successful acquisition of the site. Backed by multi-year energy purchase contracts with local industry, Utilitas will also be the operating tenant of the bioHub once completed. Please note that returns below are estimates only and cannot be considered as a guarantee of investment performance. The investment DomaCom, via the DomaCom Fund, and Utilitas, a bioHub developer, is launching Australia’s first crowdfunding campaign to acquire a site in Casino, northern NSW and develop a bioHub to service the energy needs of its nearby industries and communities. 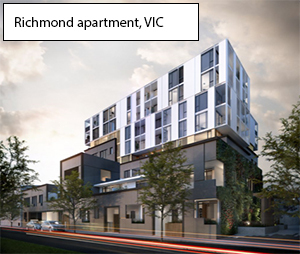 Estimated return on investment Targeting a 20% uplift for the project during the 12-18 month development with ongoing gross rent of 8% p.a. with an annual increase of the greater of CPI or 3%. If you are interested in this project as an investment for your clients, please visit Utilitas Biohub crowdfunding page on our website for more information. A businessman with property and agricultural interests in the New South Wales (NSW) Riverina and northern Victoria purchased the Federal Hotel, Deniliquin in late 2015 (known as ‘the Feddy’ to many locals) following an 8-year closure. Together with a media and entertainment company, Omecca, a plan has been prepared to renovate the property to become a focal part of Deniliquin offering food and beverage services, luxurious cinema seats, and bed & breakfast style accommodation. The cost to acquire the Feddy, refurbish and reopen it as an entertainment complex is expected to be approximately $1.5 million. DomaCom has already secured 27% funding at this stage, hence, the target amount to raise is $1.1 million. It is targeted that on completion of the refurbishment that the improved value of the Feddy and entertainment complex will provide investors in the DomaCom Fund sub-fund with capital growth in the vicinity of 15-20%, and an estimated ongoing net rental income of 7% p.a. 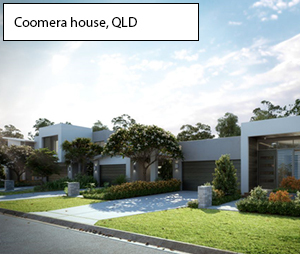 The DomaCom crowdfunding model can be employed in regional areas to refurbish disused properties such as the Feddy to enhance amenities in the community, add to the town’s business and commerce, employment opportunities, and encourage population growth. 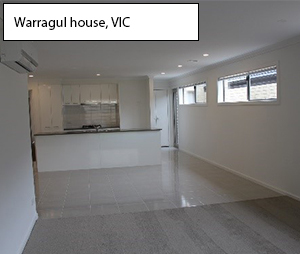 If this project is of interest to your clients, please visit the Feddy page on our website for more information. DomaCom continues to expand our presence on platforms with our first transactions on HUB24 in early July. The addition of HUB24 is further validation that our fractional investment model is gaining wider acceptance and a place in portfolio construction that can fit into any investment structure. It also demonstrates the flexibility that platform and non-platform investors can invest in the same asset. DomaCom look forward to further platform integration announcements. Engaging with property model managers, DomaCom can offer your clients exposure to a range of multi-property portfolios based on investment strategies such as income, capital growth or a combination of both. These can include residential and commercial properties. The following are examples of multi-property portfolios in the DomaCom platform that have been set up by two separate advisory groups. In ‘grouping’ properties together your clients can allocate their funds in a single campaign and the platform will split their funds equally across the portfolio of properties, which may be 2, 3 or more properties depending on the type of property and price. The benefit of investing in this way is that all your clients’ eggs are not in one basket, so they may see some areas performing better than others and they will have multiple tenants across the portfolio, hence, minimizing tenancy risk as they will not all be vacant at any one time. We recently announced that DomaCom Australia Limited has supported an action in the Federal Court for a declaration that the DomaCom Fund sub-funds are not inhouse assets or related trusts for the purposes of the SIS (Superannuation Industry Supervision) Act. We have commenced preparations for the end of 2017 financial year in order to issue your clients with Tax Statements for each sub-fund by the end of September 2017. Here are some of our latest media coverages, but for the full list, please visit our In the Media section. This information is general advice only and does not constitute personal financial advice. The information has been prepared without taking into account your personal objectives, financial situation or needs. Accordingly, before acting on the information provided you must consider the appropriateness of the information, in the light of your own objectives, financial situation or needs. If you wish to acquire a financial product within the DomaCom Fund offering, you should first obtain a copy of, read and consider, the PDS before making any decision. A copy of that PDS is available at https://domacom.com.au/the-domacom-fund/product-disclosure-statement/ or by calling your financial adviser. The material in this newsletter has been prepared by DomaCom Australia Ltd ACN 153 951 770 the holder of an Australian Financial Services Licence No. 444365. The information given is in summary form and DomaCom does not warrant the accuracy, currency or completeness of any information contained in the presentation. Forward looking statements may be contained in this newsletter, including but not limited to statements regarding DomaCom’s belief or expectations in respect of its business, market conditions, results of financial operations and risk strategies. DomaCom has taken due care in preparing this information, however actual results, performance or events to differ materially from those expressed or implied. DomaCom undertakes no obligation to update any forward-looking statements to reflect events or circumstances after the date of this presentation, subject to disclosure requirements applicable to DomaCom. Past performance is not a reliable indication of future performance. Any potential investors or investors are warned not to place reliance on such statements but to proceed to make an investment decision based on their own independent research and independent advice. The material in this document, is general information only and is not intended and should not be considered as constituting advice, a recommendation or an offer or solicitation to investors, or potential investors, in relation to purchasing or acquiring any securities or other financial products and does not take into account your personal investment objectives, financial situation or needs. If you are considering making an investment and before acting upon any information in this newsletter, you should read the relevant Product Disclosure Statement (PDS) and any Supplementary Product Disclosure Statement (SPDS) available on the DomaCom Ltd website, www.domacom.com.au, or by phoning 1300 365 930 and you should consider the suitability of this investment, having regard to your personal investment objectives, financial situation or needs. You should also seek independent financial advice.